1. 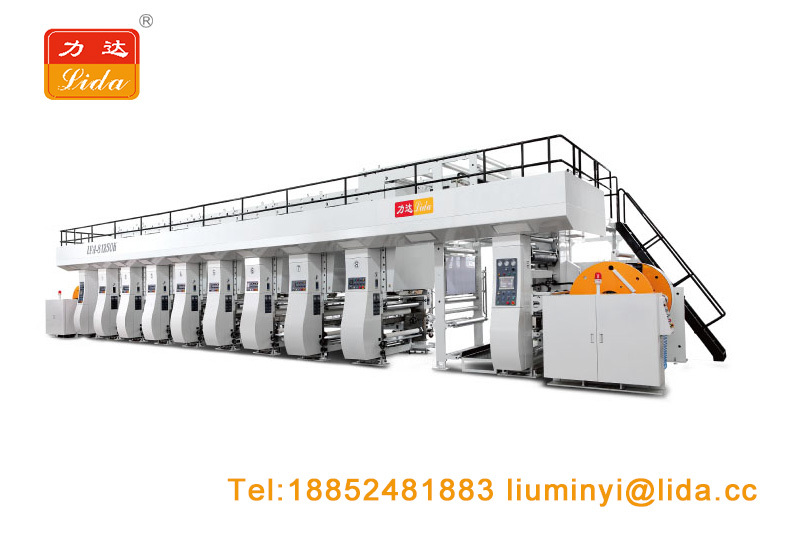 In the paper feeding section, the sheet-fed gravure printing machine is a paper-stack type continuous feeding, and the web gravure printing machine continuously feeds paper by a web. 2. The arrangement of the plate cylinder and the impression cylinder in the printing part is vertical, horizontal and inclined, and the plate cylinder is arranged below. Generally, each unit has one plate cylinder and one impression cylinder. In order to increase the printing pressure, some are equipped with two impression cylinders. 3. The ink supply device has a direct ink supply for immersing the plate cylinder portion in the ink tank and an indirect ink supply for transferring the ink to the plate cylinder by the ink discharge roller immersed in the ink tank, and the high speed machine also uses the spray. Ink mode. 4. The drying part of the gravure printing machine is hot air heated by electricity or steam, and some use infrared or far infrared light to make the printed matter dry. 5. In the delivery section, the sheet of paper is piled up into a stack of paper, and the web is stacked or folded into a paper roll. There are two types of structure, the organic type and the satellite type, in the printed part of the web multicolor gravure printing machine. The former is to set the unit according to the required color number. Each unit of the gravure printing machine has one plate cylinder and one or two impression cylinders, and the delivery part adopts a rewinding method. The satellite type four-color gravure printing machine has a large impression cylinder and four sets of plate cylinders in the printing section. Gravure printing is also combined with lithographic or letterpress printing, die cutting, etc. to suit the different requirements of the printed matter.